What do you know, it's not only iPad mini launch day today. Outside the magical land of Apple, AT&T is also having a major launch as it has now released the LG Optimus G and Sony Xperia TL - two very cool high-end smartphones for maniacs. We guess that there isn't a single person left now that doesn't know what the Optimus G is - it's a super-powerful smartphone equipped with the latest Snapdragon S4 Pro quad-core processor, LTE, 2GB RAM, large HD screen and pretty much anything that a true geek may ever dream of. Meanwhile, the Xperia TL is not only the latest and greatest invention by Sony - it also happens to be the phone of Bond... James Bond! At least in the upcoming movie Skyfall, that is. The Xperia TL is also quite impressive in terms of specs: 4.55" HD display, Snapdragon S4 Plus dual-core processor and more. 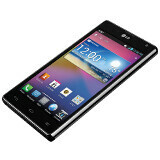 The Optimus G can be purchased here for $199.99 on contract, while the Xperia TL can be purchased here for $99.99. Is anyone planning to get one of these? Finally i can purchase my sony phone. Have to wait till pay day to buy this babay. I think the Sprint Optimus G looks better than the AT&T version. I'll choose the one with expandable storage. Not only that, but it's got the 8mp camera which every review I've read produces a somewhat better picture than the 13mp version (which Sprint uses). All this phone needs is an upgrade to Android 4.2. If the Optimus G can easily get ports from the Nexus 4, it'll be on the bleeding edge of Android versions, whether AT&T wants it to be or not. The Nexus 4 is unsubsidized and you will only lose money compared to the Optimus G. If the Optimus G gets ported development from the Nexus 4, get the Optimus G. The microSD slot is completely worth signing away your soul for two years. It doesn't matter what you think. AT&T will ALWAYS make money off of your monthly bill whether you get a subsidized phone or not. They don't make your bill cheaper if you bring your own device, they just pocket that money as pure profit. So basically you'll pay an extra 100 USD for stock Android, with no other advantage compared to the AT&T Optimus G. And the AT&T version adds a microSD slot. Hence the point. If the AT&T Optimus G can easily get ports from the Nexus 4, there is no point to getting a Nexus 4, unless you feel the need to show off to someone that you paid more money for a name that no one but phone geeks will care about. Care to elucidate your arguments? Magical land of Apple..lol! But I agree..every Apple product is truly magical, too bad we're on the real world not a fairytale..